We know you have plenty of choices when it comes to automotive services. That’s why we do everything possible to make our Toyota service center stand out from the pack. Our Toyota service center is conveniently located for residents of Los Angeles and nearby areas. 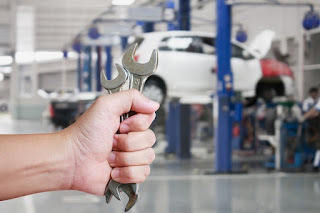 We offer Toyota Express Maintenance at our location, too. Whenever your Toyota automobile needs factory-scheduled service, you’ll be in and out of Keyes Toyota fast thanks to Toyota Express Maintenance. This pit crew-inspired approach enables us to perform routine maintenance tasks quickly and efficiently, getting you in and out of our Toyota service center fast and affordably. Whether you drive a 2018 Toyota Corolla, a vehicle from the 2019 model year, or an automobile produced by another brand, you’ll enjoy some laudable amenities whenever you bring your vehicle to our location for service. You can watch television in our lounge and you’re welcome to use our available computers to access our free Wi-Fi service. If you’re hungry or thirsty, you can snack on some fresh cookies and coffee while you wait for your vehicle. Will you be accompanied by your children when you bring your vehicle in for service? If so, they’ll enjoy playing in our well-maintained Kids Play Room. If you can’t wait for us to finish up with your car, we’ll give you a complimentary ride to your workplace or home if it’s within eight miles of our Toyota dealership. To learn more about why you should have your vehicle serviced at our location, visit Keyes Toyota today.